Positive Behavioral Intervention and Supports (PBIS) is a framework to support schools in creating a climate where all students can achieve and learn.PBIS is a multi-tiered approach to providing systematic behavioral interventions and positive acknowledgment of students. PBIS promotes proactive strategies for defining, teaching, and supporting all students and for creating a positive school climate. Solano County Office of Education has partnered with Placer County Office of Education to bring PBIS to schools in Solano County. 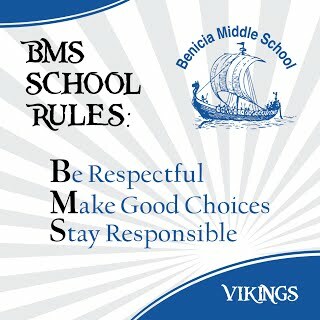 Benicia Unified School District has started the 3-5 year process of implementing PBIS at each school site.